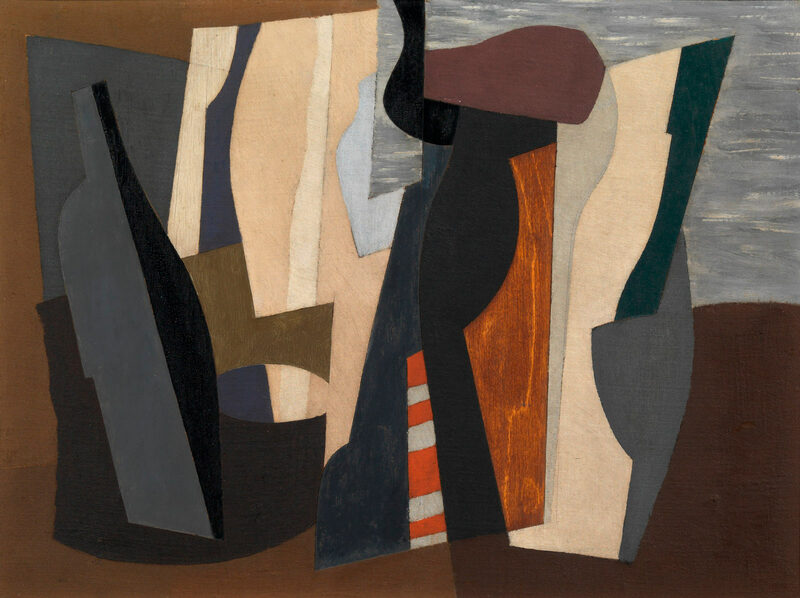 Sea buildings, 1938, was painted at a pivotal moment in Piper’s career during the artist’s experimentation with abstract art through relief making, collage and printing. Created using oil and ripolin paint on canvas laid on panel, Piper breaks up and diversifies the picture surface with abstract cut-out shapes. The title, with a glimpse of sea or sky in the top right corner, recalls Piper’s idea of ‘Coastal gaiety’ featured in his article ‘Nautical style’ published in the Architectural Review the year Sea buildings was painted.